Arizona Workers’ Compensation Benefits: What Are You Entitled To? Arizona workers’ compensation benefits depend on the severity of your injury and your ability to work. Learn the coverage that best applies to your workplace injury. If you’re injured on the job in Arizona, you may be entitled to certain workers’ compensation benefits. This article discusses the various benefits that are available. Keep in mind that in order to receive any benefits you’ll first need to file a claim. 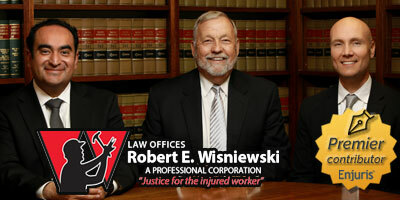 If you have questions about filing a workers’ compensation claim, speak with a workers’ compensation attorney. If you’re injured on the job, your employer (or, more accurately, your employer’s insurance company) is required to pay for all medical treatment that is reasonable and necessary at the time of your injury and during the period of your disability. Enjuris tip: An injured employee isn’t responsible for paying any portion of a medical bill on an accepted claim and isn’t responsible for paying any amount that is disputed between a health care provider and the insurance carrier. Consult an attorney if you’re being asked to pay any portion of a medical bill. You may have to travel to receive medical treatment for your work-related injury. Fortunately, in Arizona you’re entitled to reimbursement for the reasonable cost of travel so long as you have to travel more than 25 miles from your home. Temporary partial disability (TPD) benefits apply to injured employees who can still work, but in a limited role. These workers generally make less than they did before their injury, so the compensation attempts to bridge this financial gap. If you’re entitled to TPD benefits, you’ll be paid two-thirds of the difference between the average monthly wage you earned before the injury and the average monthly wage you earn after the injury. The payments will be made for as long as your TPD persists. For example, let’s say you earned $4,000 per month prior to your injury, but after being injured you were forced to accept a limited role earning $3,000 per month. In this situation, you would be entitled to receive $660.60 per month in workers’ compensation benefits. Enjuris tip: Arizona caps the average monthly wage. This means that any wages you may have earned above this cap will be excluded from the calculation for all types of injuries (i.e., not considered in determining your compensation). For injuries occurring after January 1, 2019, the maximum average monthly wage is $4,741.57. Temporary total disability (TTD) benefits (sometimes called “temporary permanent disability benefits”) apply when you’re temporarily unable to work at all. If you’re entitled to TTD benefits, you’ll receive two-thirds of your average monthly wage for the period of disability. If you have dependents, you’ll receive an additional $25 per month (regardless of how many dependents you have). For example, let’s say you earned $4,000 per month prior to your injury. Let’s also say that because of your injury you cannot work at all for one month. You would be entitled to receive $2,666.40 for that month. If you have two children you would receive $2,691.40. Some injuries will prevent you from returning to your pre-injury condition no matter how much medical treatment you receive. Permanent partial disability (PPD) benefits apply to injuries that are a permanent part of your life, but that still allow you to work in some capacity. Certain injuries are specifically listed in the Arizona schedule of losses. These injuries range from amputations to hearing loss. For each injury listed in the Arizona schedule of losses, the amount of compensation you can receive for that injury as well as the length of time for which you can receive the compensation is also listed. Typically, compensation of fifty-five percent of the average monthly wage of the injured employee, in addition to the compensation for temporary total disability, should be paid for the designated period. So, for example, if you lose your thumb because of a work injury, you can receive 55% of your average monthly wage for up to fifteen months. All injuries that aren’t specifically listed in the Arizona schedule of losses are “unscheduled.” If you suffer a PPD that is unscheduled, you are entitled to 55% of the difference between your pre-injury earning capacity and your post-injury earning capacity. If your injury is so severe that you’ll never be able to work again, you’re entitled to two-thirds of your average monthly wage for the duration of your life. The determination as to whether a disability is permanent or partial is generally made by a physician who issues a signed report. However, certain injuries are presumed to be permanent. This means that the injury is considered permanent unless your employer proves otherwise. If a work-related injury results in death, burial expenses up to $5,000 will be paid to the dependents of the deceased employee. In addition, certain income replacement benefits will be paid to the dependents. The maximum percentage dependents can receive combined is two-thirds of the deceased employee’s average monthly wage. The amount of compensation paid is based on the dependent and their relationship with the deceased. If the deceased leaves behind a spouse and no children, the spouse is entitled to two-thirds of the average monthly wage of the deceased at the time of their death. This compensation will be paid until the surviving spouse’s death or remarriage (with 2 years compensation to be paid in one lump sum upon remarriage). If the deceased leaves behind a surviving spouse and at least one child, the spouse is entitled to 35% of the average monthly wage of the deceased until the surviving spouse’s death or remarriage (with 2 years compensation to be paid in one lump sum upon remarriage). If the deceased employee left behind one child and no spouse, the child is entitled to 2/3 of the average monthly wage. If there is more than one child, the children will split this amount equally. These benefits will continue until the child (1) dies, (2) remarries, (3) reaches the age of 18 (unless the child is incapable of self-support) or 22 (if the child is enrolled as a full-time student in an accredited educational institution). If there is no surviving spouse or child under 18, and the parent of the deceased was wholly dependent on the deceased, the parent is entitled to 25% of the average monthly wage of the deceased. If there is no surviving spouse, dependent children, or dependent parent, then siblings that were dependent on the deceased are entitled to compensation according to the distribution rules listed here. As this article conveys, determining workers’ compensation benefits can be complicated and vary on a case-by-case basis. If you or a loved one have suffered a work-related injury, use our Enjuris attorney directory to find a workers’ compensation attorney so that you can be sure to receive everything you’re entitled to receive.